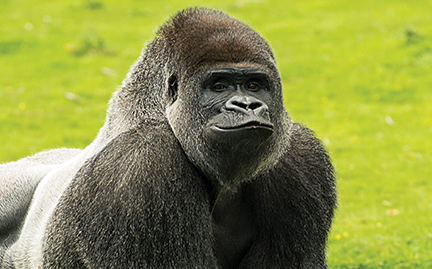 Western lowland gorillas inhabit the vast tropical and subtropical forests of Central Africa. They live in family groups that are led by one dominant male, called the silverback because of the silver hair that runs down his back. With threats such as poaching, habitat loss and disease, WWF is supporting protected areas and other conservation programs across the lowland gorilla’s range to ensure that no population is neglected.